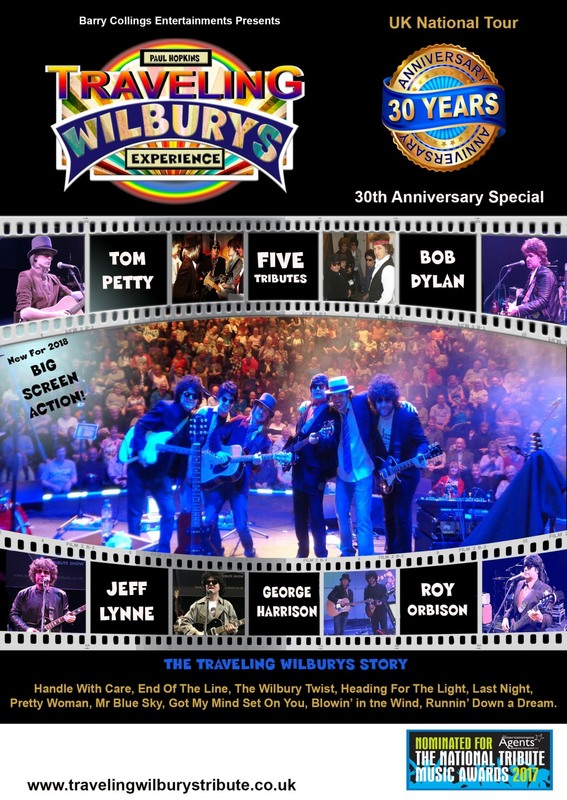 The Big O & the Wilburys Show is back - bigger and better than ever! 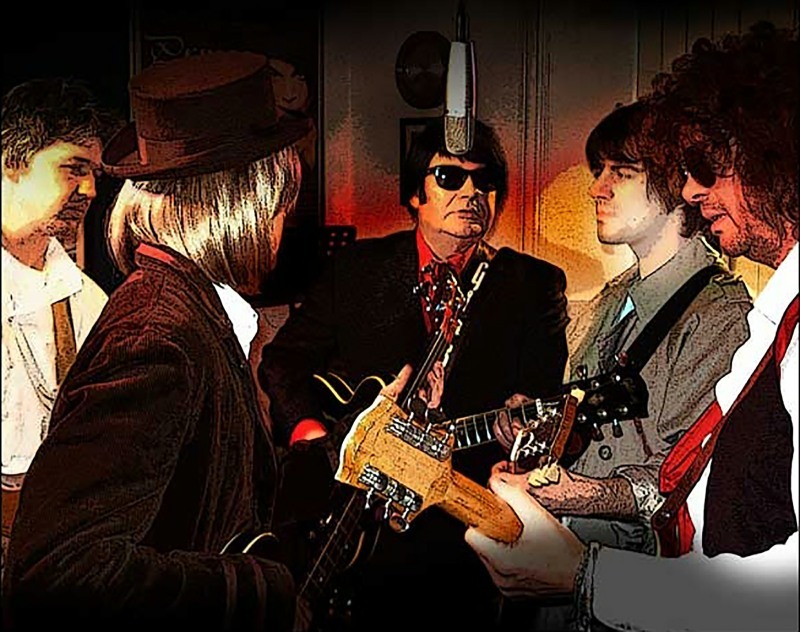 Come and celebrate with the band as they commemorate 30 YEARS since the Wilburys original album release and pay a special tribute to The Big O, who died later the same year. Roy Orbison and the Travelling Wilburys Experience will take you on a journey through the story of the Wilburys. With expert narrative and BIG SCREEN ACTION, this 30th Anniversary Special is unmissable. With tributes to Jeff Lynne, George Harrison, Tom Petty, Roy Orbison and Bob Dylan. All the Traveling Wilbury hits and classics are included in the show including: 'Handle with Care', 'End Of The Line', 'Wilbury Twist', 'Heading for the Light', 'Tweeter And The Monkey Man', 'Nobody’s Child', 'Last Night' and many more. Totally unique to this production are five authentic lookalike-soundalike’s to the famous Traveling Wilburys, enabling the show to explore the solo hits of the 'Famous Five'. 'Mr Blue Sky', 'Pretty Woman', 'Blowin In The Wind', 'Here Comes The Sun', 'Runnin Down A Dream', 'Sweet Talkin Woman', 'Only The Lonely', 'The Mighty Quinn' and 'I Got My Mind Set On You' are just a few of the million-selling hits you’ll hear throughout the show. This joyous, up-tempo feel-good celebration of classic pop music is guaranteed to have you singing and dancing in the aisles.